Wed., May 9, 2018, 11:39 a.m.
Treasure Valley Racing LLC, the firm that operates the now-shuttered Les Bois Park horse racing track and casino in Garden City, poured a whopping $1.34 million into its recently concluded efforts to qualify an initiative for the November ballot — and it’s not even clear yet whether the measure will qualify. 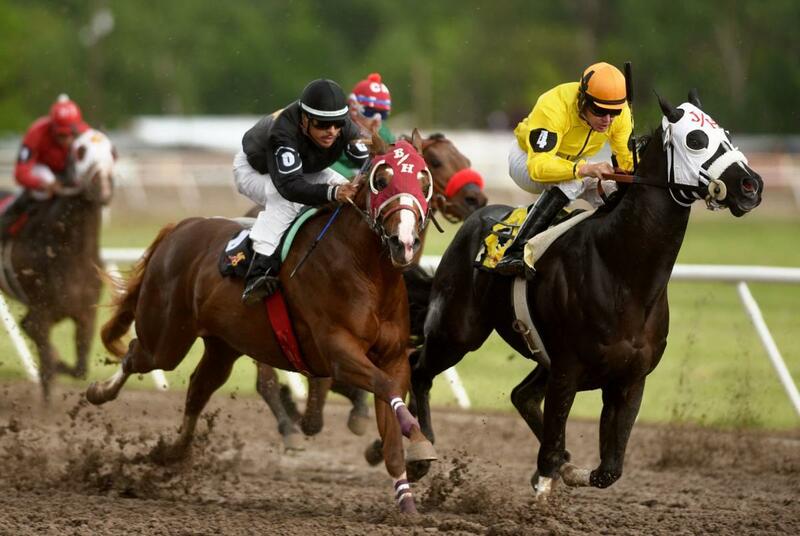 The initiative seeks to legalize “historical horse racing” — slot machine-like betting terminals on which players bet on randomly selected past horse races. The machines also are called “instant racing,” and hundreds of the lucrative terminals were installed at three locations across the state, including Les Bois, after the Idaho Legislature authorized them in 2013. But two years later, after lawmakers got a good look at the machines — which had spinning reels, cherries and bars, flashing lights and instant wins — they repealed the law authorizing them, saying they were too similar to slot machines, and the machines all went dark in 2015. Subsequently, Les Bois Park shut down, canceling all live horse racing — saying without the profitable machines, live racing wasn’t sustainable. According to campaign finance reports filed with the Idaho Secretary of State’s office on Tuesday, Treasure Valley Racing LLC was the sole donor to the Committee to Save Idaho Horse Racing, which spent most of the $1.34 million on paid signature-gatherers from Fieldworks LLC of Washington, D.C. The committee submitted 114,815 signatures for verification; county clerks across the state have until June 30 to determine whether there are 56,192 valid signatures of registered voters among them. Two years ago, backers of a sweeping campaign finance reform initiative gathered 79,000 signatures to put their measure on the Idaho ballot when just 47,623 were needed, but so many were disqualified — largely because the voters had moved since they last registered — that the measure fell 5,000 signatures short. That 2016 effort spent nearly $450,000 on paid signature-gatherers. Another initiative this year is backed by a volunteer group, Reclaim Idaho, to get a measure on the November ballot to expand Medicaid to close Idaho’s health coverage gap. The volunteers spent just over $45,000 gathering 43,000 valid signatures across the state. Meanwhile, an advocacy group, the Fairness Project from Washington, D.C., spent $474,042 — also hiring Fieldworks — on a parallel effort to boost the signatures over the threshold, operating in four southern Idaho counties. That measure, too, is now awaiting validation of its signatures by county clerks. The proposed racing initiative would allow the betting machines at any place that is licensed for live racing or wagering on simulcasts of races, if the location either hosts at least eight days a year of live racing, or is the Greyhound Park in Post Falls. The park was grandfathered in to allow wagering there after Idaho banned live dog racing in 1996 amid concerns over reported abuse of greyhounds at the North Idaho dog track. The committee backing the initiative has complained to law enforcement that a Coeur d’Alene Tribe-backed group opposed to the measure has harassed its signature-gatherers and engaged in “thuggish and criminal behavior.” Meanwhile, Rep. Brent Crane, R-Nampa, said in March that he was approached by a signature-gatherer in downtown Boise who insisted that the initiative would legalize only live horse racing — which already is legal in Idaho. No initiative has made the Idaho ballot since 2013, when the Legislature sharply increased the requirements to qualify initiative or referendum measures to go before voters. In addition to collecting signatures from 6 percent of current registered voters statewide, lawmakers added a requirement to collect signatures from 6 percent of the registered voters in each of 18 of Idaho’s 35 legislative districts. The 2013 change, which Gov. Butch Otter signed into law, followed Idaho voters’ historic rejection of the “Students Come First” education reform laws in three referendum measures in 2012, the first time since 1936 that Idaho voters have overturned laws passed by the Legislature through a referendum vote. Only 14 ballot initiatives have passed in Idaho since statehood. Published: May 9, 2018, 11:39 a.m.